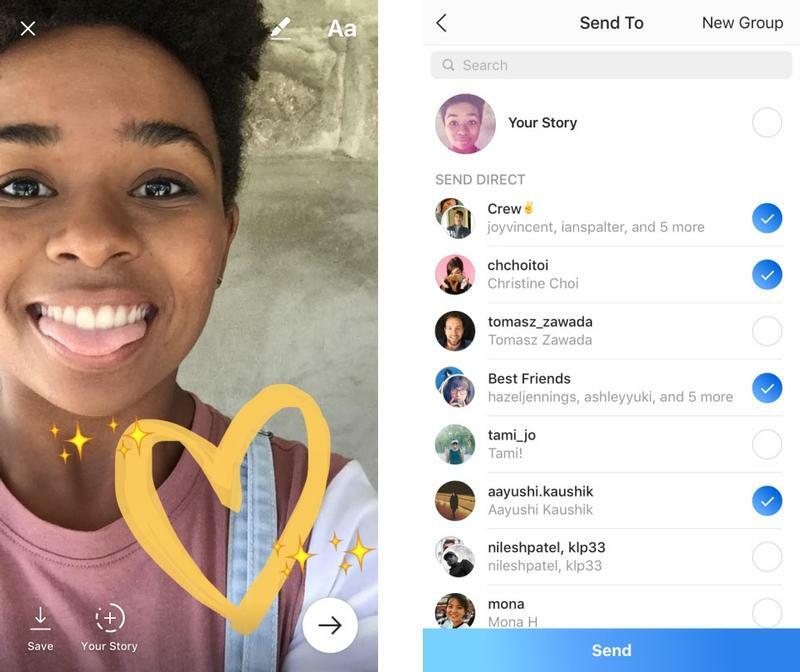 Instagram’s Direct feature just got more generally useful as a messaging option, with support added for external web links, and the ability to send photos and video in their original portrait or landscape aspect ratios without cropping. The first is really far more important than the second, mainly because it means users have less reason to go seeking other messaging options outside of Instagram. The links feature also includes inline previews for websites you paste the URL for, and the new photo and video treatment is much more in keeping with how people actually capture and view media on mobile these days. The updates are rolling out now to iOS users, and will arrive on Android soon. Links are supported on both platforms as of version 10.22. 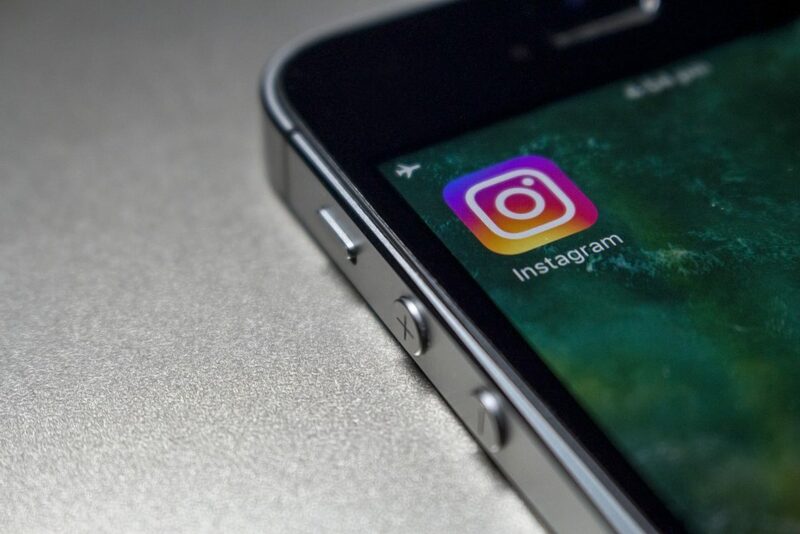 Instagram Direct is a popular feature among the social network’s user base – there are 375 million monthly active users on Direct alone as of last count, a fresh number shared publicly in April. It’s a far cry from Facebook Messenger’s 1.2 billion monthly actives, but that’s still one of the biggest messaging apps in the world, and a product worth iterating on in order to help it capture even more market share. 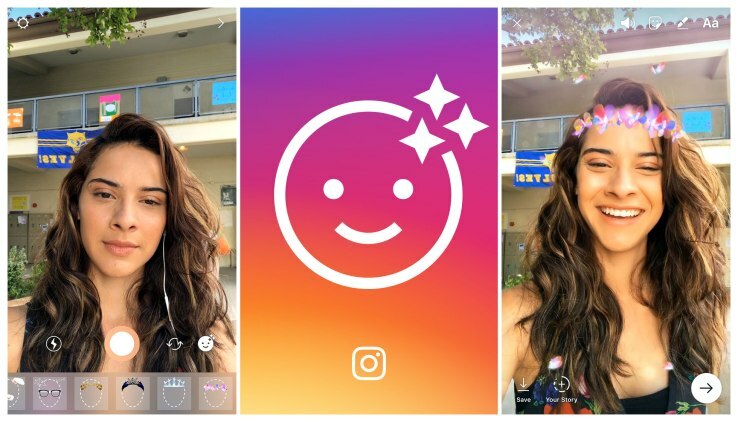 Face filters have arrived in the Instagram camera, enabling users to overlay their selfies and regular shots with Snapchat-like animations. 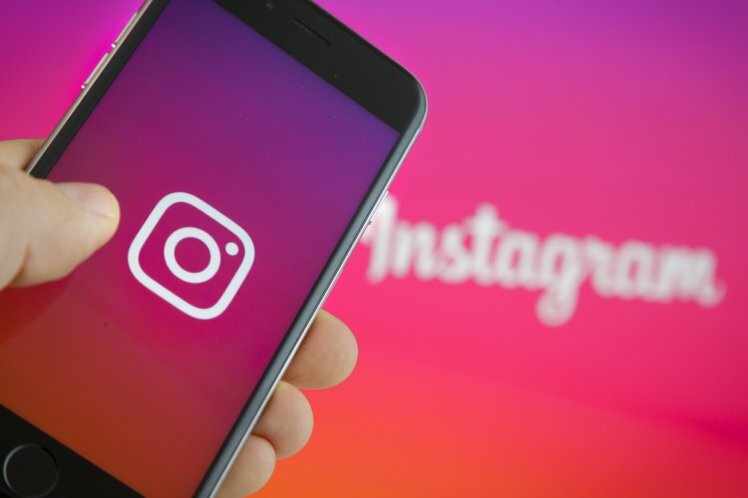 This is an overt move by Instagram to get people to take photos and videos in its platform, and, as always, these recordings can then be sent to friends via Instagram Direct or added to a story. 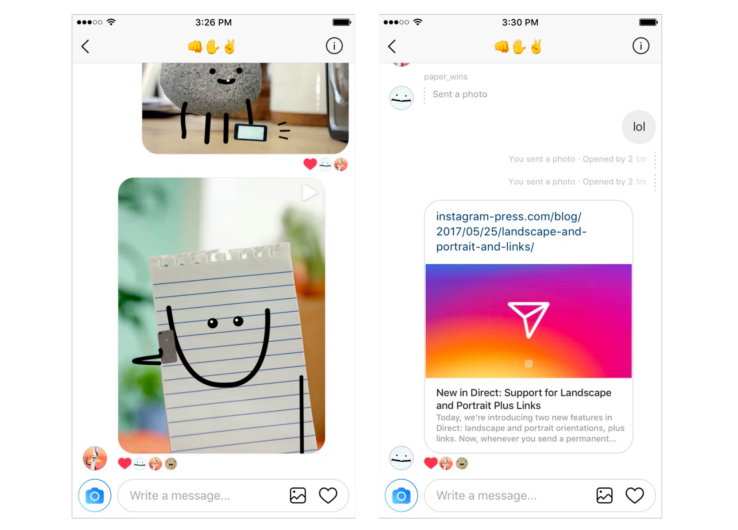 The Facebook-owned app has also rolled out new “creative tools” — a phrase that comes straight from Snapchat’s playbook — to its stories platform, including a Rewind feature to play videos in reverse, custom hashtag stickers that users can tap to explore related posts, and an eraser brush to go alongside Instagram’s existing drawing tools. These features are less about coaxing people to use Instagram’s camera than increasing engagement more generally. Face filters. 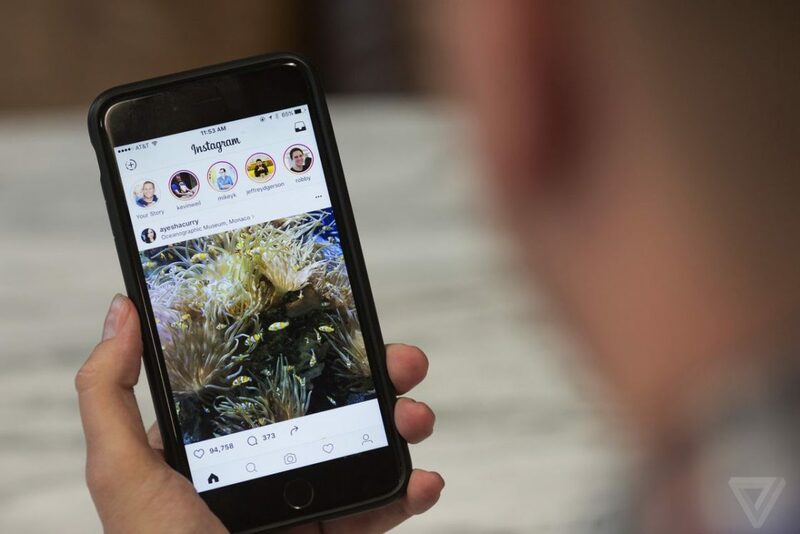 These can only be accessed in the Instagram camera, meaning users won’t be able to retroactively add filters to images or videos recorded on other cameras, such as the smartphone’s default camera, Snapchat, and other camera-first apps. Three billion Snaps are created daily as of Q1 2017 — a metric that Instagram will want to surpass. Editing tools. The Rewind feature adds to Instagram’s Boomerang and Hands-Free camera formats and seems tangentially similar to the Looping feature that Snapchat rolled out two weeks ago. 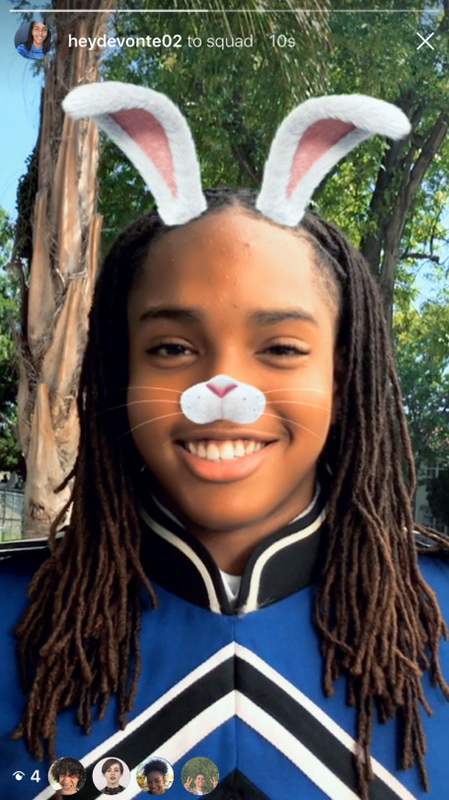 Instagram’s eraser brush also triggers memories of Snapchat’s new ‘Magic Eraser’ tool, but while these two features are analogous in name, they differ greatly in function. Hashtag stickers. 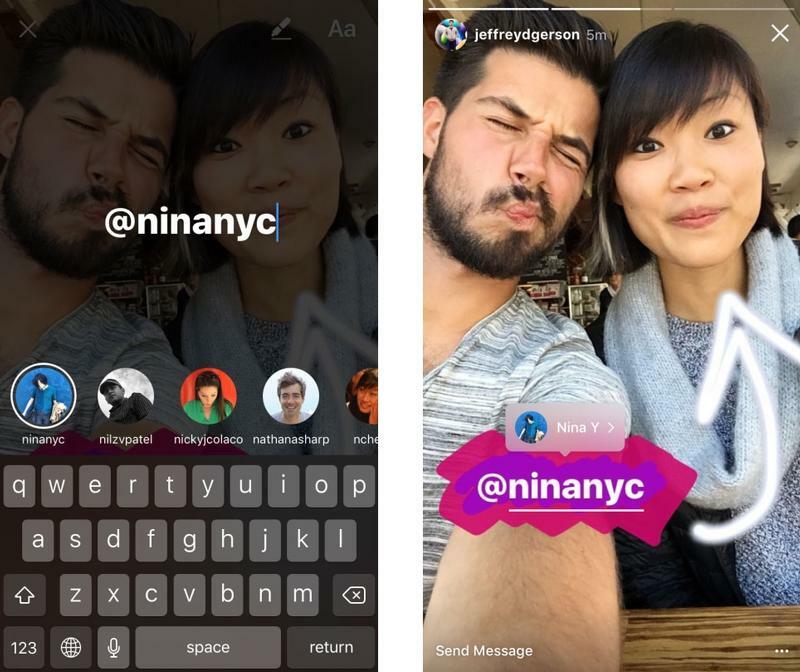 Adding custom hashtag stickers to Stories, which users can tap into to see the hashtag page and explore related posts, builds upon the open nature of Instagram’s social network. This feature increases the visibility of Stories, making them more easy to search and discover. It also complements Instagram’s existing Mentions feature for tagging users in Stories. But it’s not all doom and gloom: There are numerous tools at a publisher’s disposal to engage and re-engage consumers, and there are new products and solutions coming to market that can help alleviate some of the issues around this app engagement crisis. Jessica Smith, research analyst for BI Intelligence, Business Insider’s premium research service, has compiled a detailed report on app engagement that explores the current state of the app market, the issues around engaging consumers, and the tools at a publisher’s disposal. It also identifies best practices for the implementation of some app engagement tools, and presents the pitfalls that some publishers fall into in this pursuit. The app market today is challenging and volatile. It’s difficult to stand out, and most apps have to be offered for free in order to entice consumers who have too much supply to choose from. This puts greater emphasis on engaging consumers after they’ve downloaded an app in order to recoup costs. While many publishers mistakenly rely solely on push notifications for app engagements, this is a poor practice because many consumers don’t allow push notifications and those that do can easily be overwhelmed when they receive too many. The best solution often includes leveraging two or three of these tools to engage consumers with the right message at the right time. The technology in this market has grown increasingly sophisticated, and publishers that don’t diversify their approach run the risk of annoying their consumers to the point of abandonment. Identifies the major challenges in today’s app market and explains why employing good app engagement practices is more important than ever before. 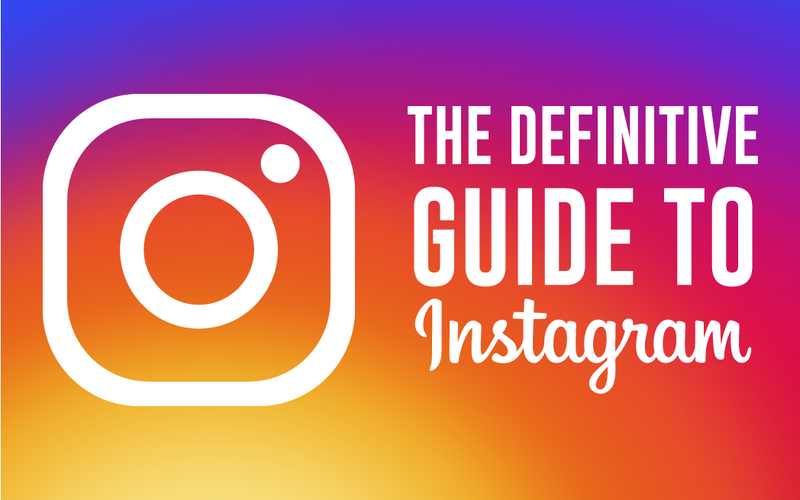 Complete guide to setting up Instagram and using it to share edited photos and videos, follow your friends, celebrities and brands and more. 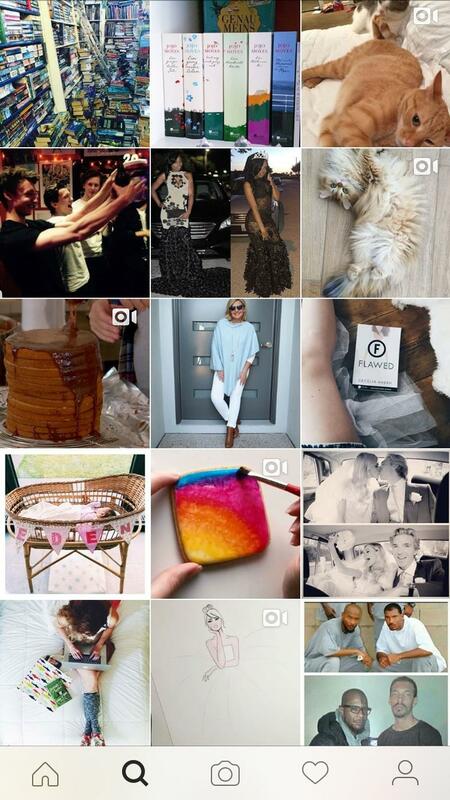 Instagram is getting bigger and bigger, with celebrities and brands among those sharing images on the social app. 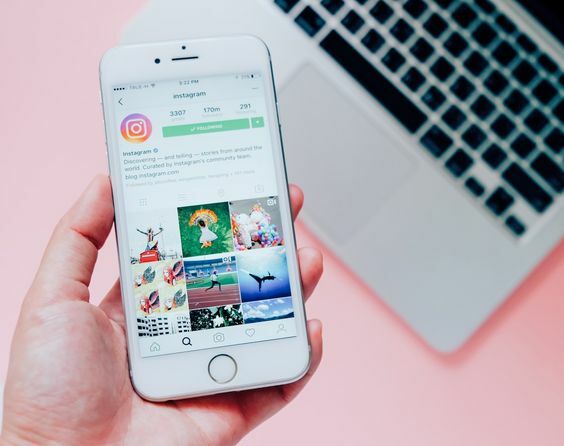 If you’re new to Instagram, it can be a bit overwhelming, so here we take you step-by-step through how to use Instagram in our complete guide. 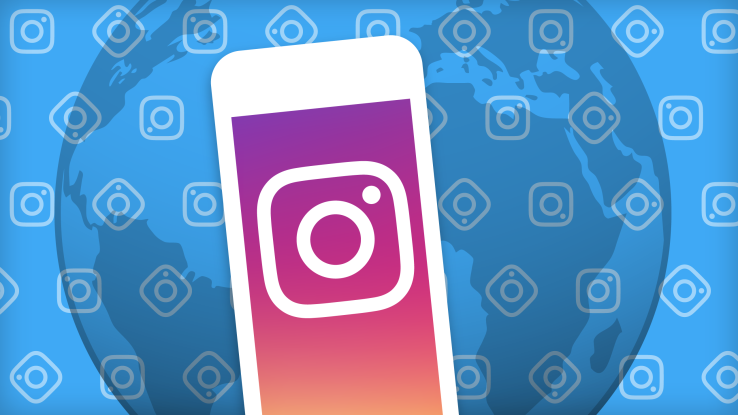 Update January 2017: Two new features are now rolling out to Instagram: wide colour and Live Photo support. Live Photos support for Instagram Stories has also been added, which lets you add GIFs to Stories without using Boomerang. There are is now also a Live Video mode to play with. The first thing you’ll need to do in order to use Instagram is download the app. 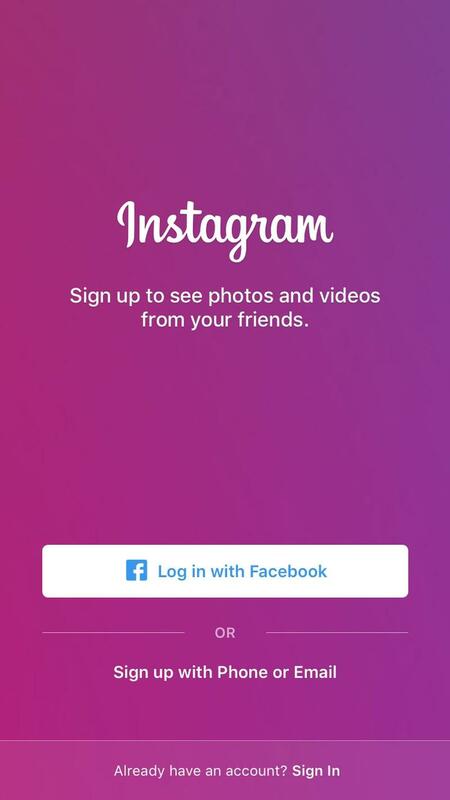 There is an Instagram website but it’s very limited – you can’t upload new images there, only view them and like or comment on them. You can download the app from the iOS App Store or Google Play Store. 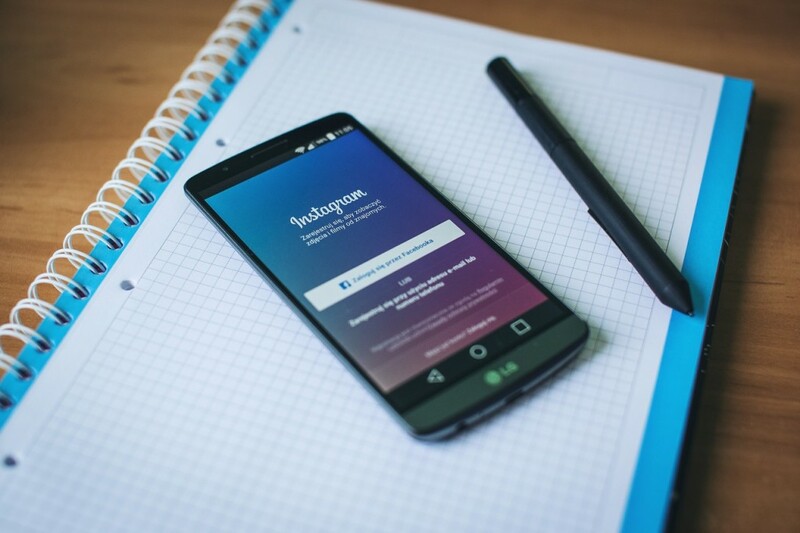 Once you’ve downloaded Instagram, read on to find out how to master the app. Once the app has downloaded, you’ll want to create an account. When you launch the app you should see a link at the bottom of the screen that reads: “Don’t have an account? Sign Up.” Click that to start the process of signing up to Instagram. You can sign up with Facebook, or sign up using your phone number or email address. You’ll then be asked to create a username and password. Your username is a lot like a Twitter handle in that it’ll be the name your followers will see when you post a new photo or when they tag you in a photo, so choose wisely. You can also add your full name and a profile photo if you wish to. Once you’re done, you’ll be offered the chance to find your Facebook friends on Instagram, then contacts from your phone. You can skip by tapping at the bottom of the screen if you’d prefer not to. If you’ve followed all of the steps above, you’ll now have created an Instagram account. Congrats! Now, you’ll see the Explore screen, which lets you search for photos posted by other Instagram users from around the world. Tap the search bar at the top to search for a topic, hashtag, person or place. Use the tabs along the top of the search screen to find what you’re looking for. If you’re not looking for anything in particular, you’ll see popular and personalised suggestions on the Explore page. 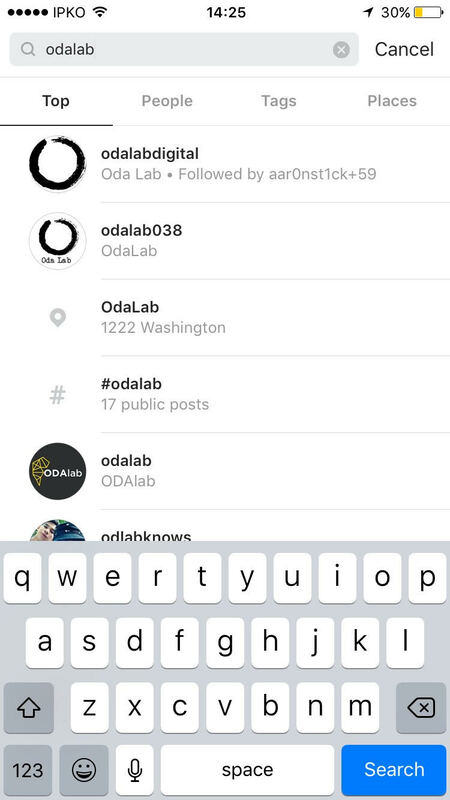 To return to the Explore page at any time, tap the magnifying glass button in the navigation bar along the bottom. 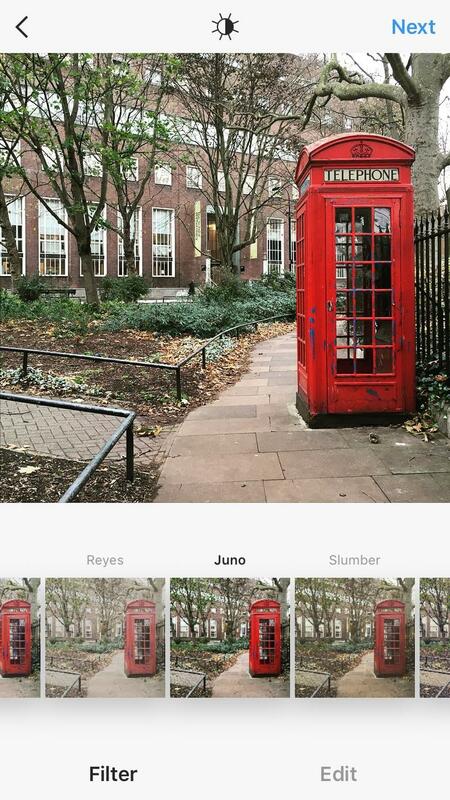 To share a photograph on Instagram, you can tap the square icon in the centre of the navigation bar. 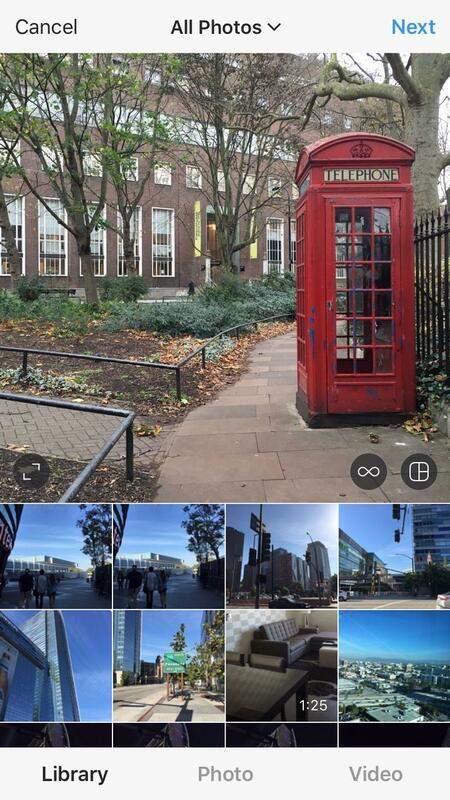 From there, you can choose Library for photos and videos you’ve already captured that are stored on your phone, Photo to take a new photograph within Instagram, or Video to capture a new video within Instagram. Videos can be three to 15 seconds long, and you can stop and start the recording simply by letting go of the big red record button and then pressing and holding it again when you want to record more. If you physically can’t move closer to the subject of your photo you can zoom in on Instagram when using the camera. You just need to pinch zoom – in simple terms, touch the screen with two fingers and move them away from each other to zoom in. Once you’ve chosen your image, tap next to go to the filters and image editing tools. You’ll first be able to swipe through and apply filters by tapping on them at the bottom of the article. The sun icon lets you change the brightness and contrast of the image, and you can use the slider to change the effect. When you’re happy, tap the + to apply. For the finer details, tap the Edit button at the bottom of the screen play around with the options. We like to up the structure for a more crisp-looking image, and we often add vignette or tilt shift when we’re feeling creative. When you’re happy with the edits you’ve made, tap next. You can now add a caption to your image, and include hashtags to help people find it. 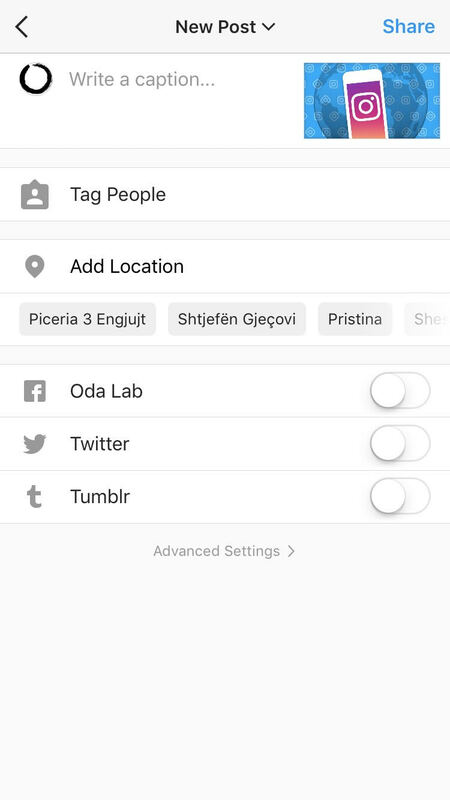 You can also tag people, add your location, and if you’ve connected your Facebook, Twitter, Tumblr or Flickr accounts you can share the image there directly from within Instagram too. To connect your accounts, tap on the relevant option on the share screen and log in. 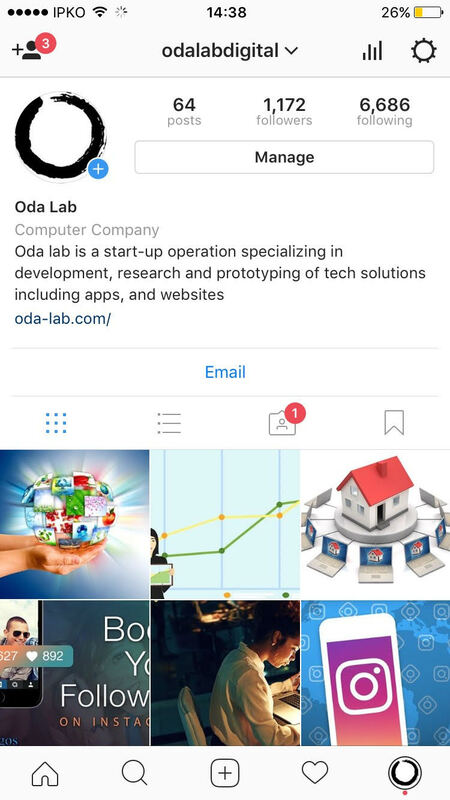 If you want to share your image with a select few people, you can tap Direct at the top of the page and select the Instagrammers you want to share it with. Tap Share at the bottom of the screen and your Instagram photo has been shared! In addition to adding a photo in the traditional way described previously, Instagram also has some additional options for sharing photos which we’ll talk about next. First is Boomerang, but in order to use this you’ll need to install the Boomerang app. You can do this by going tapping the square icon in the middle of Instagram’s navigation menu, then tapping the Infinity symbol to the right of the centre of the screen, which looks like a folded loop. You’ll then be asked to Install Boomerang. 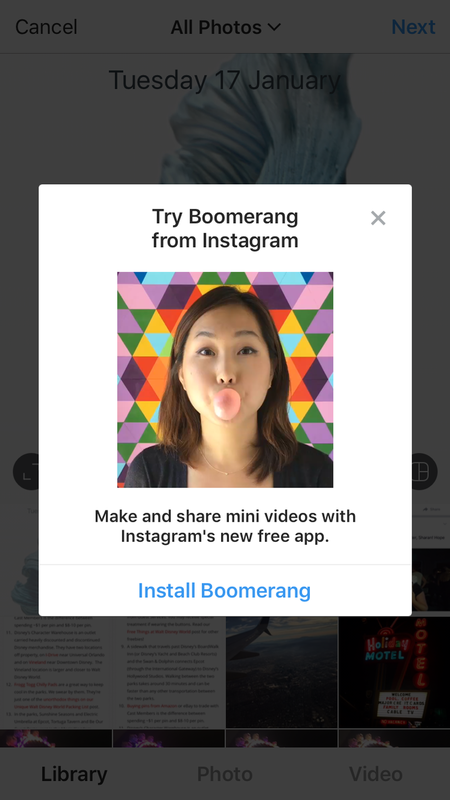 Once installed, you can quickly add a Boomerang to Instagram by capturing it (it’s a one second video clip that will loop infinitely) and then pressing the Instagram button. That will transport you right into Instagram where you can follow the steps outlined previously to share that Boomerang with your followers. Similarly, you can install Layout to quickly add a collage of photos by pressing the icon next to Boomerang and following similar steps. 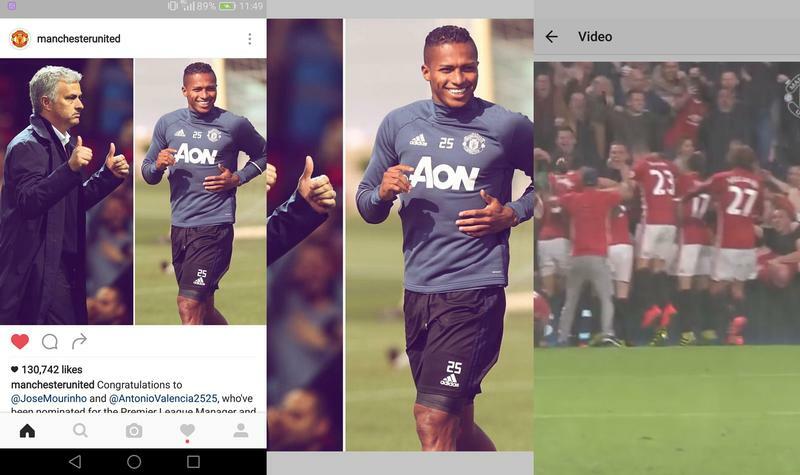 Now, you might start to see likes, follows and comments on your newly shared Instagram photo. Those will appear in the Activity section, which you can access by tapping the speech bubble icon in the navigation bar at the bottom of the app. There, you’ll see all of your recent activity, including new followers, mentions, tags and likes. 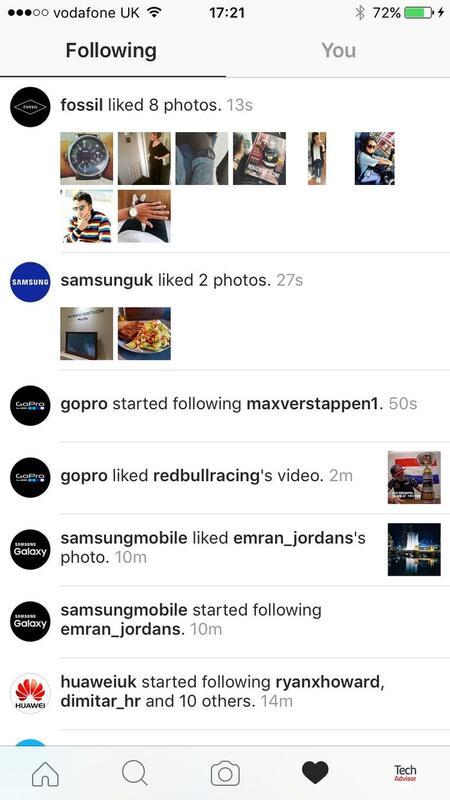 By tapping following, you can see what the people you follow have been liking, and who they’ve started following too. In August 2016, Instagram rolled out and update, in order to allow you to zoom on photos and videos on your Activity feed. The update allows both iOS and Android users pinch zoom on images and videos. To do this, simply find a photo or video you wish to zoom in on, and pinch with two fingers to enlarge it on your phone’s display. Due to the nature of the update, you’ll have to keep your fingers on-screen in order for the zoom to work. The last icon in the navigation bar is usually your profile picture or a little person symbol. That’s where you can have a look at your account and edit your profile. Tapping the Pin icon will show you a map of your Instagram posts if you’ve been tagging your location, and the person icon will show the photos you’ve been tagged in. A newer feature in Instagram that’ll be familiar with Snapchat users is Stories. These are a series of photos and/or videos that are shared with your followers for one day before disappearing (and being replaced by the next day’s story should you create one). To create a Story, simply swipe right and press once for a photo, hold for a video. You can also change the mode to Boomerang or Hands Free (for a timer). You can add annotations and illustrations to these images too. With Mentions you can now tag people in stories. When you add text to your story, type “@” followed by a username and select the person. When someone taps the mention, they’ll see a pop-up that takes them to that profile. Plus, the person mentioned gets a push notification. ‘See More’ Links allow those with verified accounts add links which can be viewed without leaving the app. When you see this, just tap “See More” or swipe up. 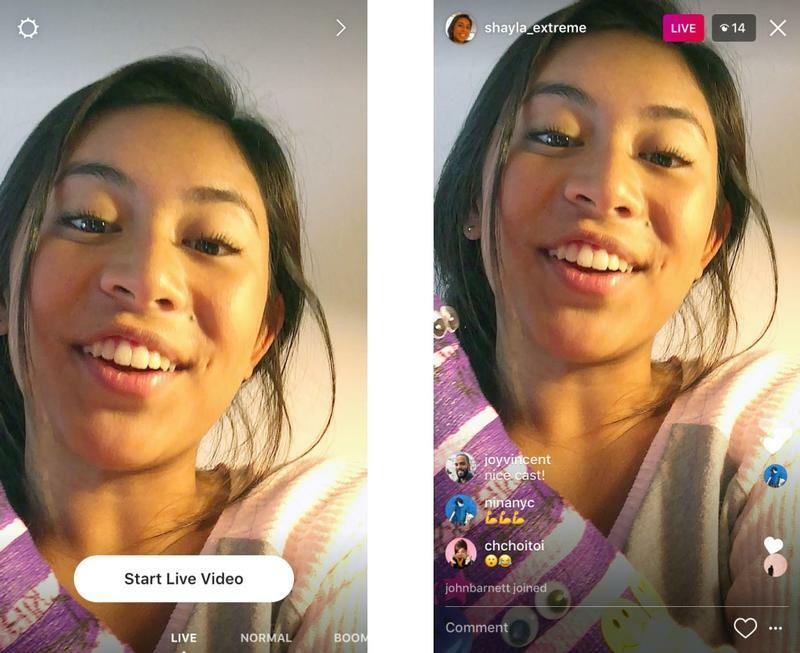 nstagram has been rolling out Live Video for Stories to users to kick off 2017 too. If it’s not yet available for you, keep checking back in the Stories screen (by swiping right) to see if there’s a Live Video option next to ‘Normal’. To start live video, swipe right from feed to open the camera, tap the “Start Live Video” button. You can stay live up to an hour, and your friends might get a notification. While live, you can pin a comment for everyone to see or turn comments off. If someone else starts a live story, you’ll see “Live” under their profile photo in the stories bar. You’ll can also now send disappearing photos and videos directly to groups and individuals. Swipe right to bring up the camera to take a photo or video, then tap the arrow to send it privately. You can send to groups and individual friends at the same time. Unlike other messages in Direct, these photos and videos disappear from your friends’ inboxes after they have seen them. You can see if they replayed it or took a screenshot. You can only send disappearing photos and videos to people who follow you. To open your inbox, tap the new paper plane icon or just swipe left. Disappearing photos and videos will be shown in a bar at the top. You can tap the ones with blue rings to see them. In a group, you can see everyone’s responses – and who else has seen them – in a slideshow format. You can then tap the faded profile photo to reply. Social networks became very important in presenting yourself to the world. Whether you like to promote yourself, followers for instagram your business or if you are an artist, it can be hard to collect social follows and likes. Gaining these can make you get noticed on Instagram, but it takes a lot of time and business cannot wait that long. We offer a solution to get instant boost from real profiles who will follow you and like your posts. To get started, connect your Instagram account to InstAmigos. Once you’re connected, you will be allowed to access our dashboard. Now that you’re in the InstAmigos dashboard, you’ll want to setup your account to target the type of audience you want to engage with. In case you haven’t noticed, Instagram is starting to give Snapchat a run for their money with the addition of the Instagram stories feature. 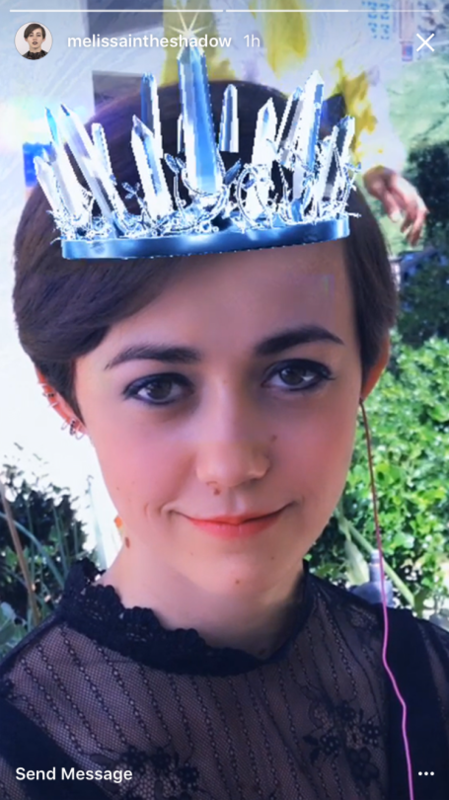 But now, Instagram is including face filters among a myriad of other effects. Check out all the effects that will be added below! Instagram announced the features today (5/16) explaining that they will be starting with eight different face filters that include “math equations swirling around your head to furry koala ears that move and twitch.” You can check out photos of these new filters below! One cool feature that we definitely like is the addition of hashtag stickers which you can customize to feature any hashtag, but what makes it even cooler is that anyone viewing your story can click on the hashtag sticker to also explore other posts within that hashtag. Try not to panic, but – Instagram is down. And we mean really down. Nothing is loading. Nothing. The photo-sharing site has stopped working for the majority of people, both on web browser and on the smartphone app. However, it’s good news for Twitter as everyone is currently blowing the dust off their TweetDeck to check if they’re the only ones affected.Some people are reporting that normal service has already resumed, while many others are still struck by the outage. At least you can breathe a sigh of relief that it’s not your WiFi that’s the issue. But alas, the world will have to wait to see those charcoal/matcha/turmeric latte shots with the Valencia filter.